One of the Fan Racers that I managed to get me finished like the "real" Fan Racer : Crashed ! 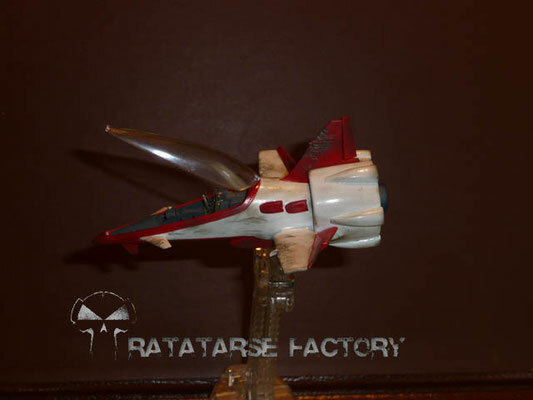 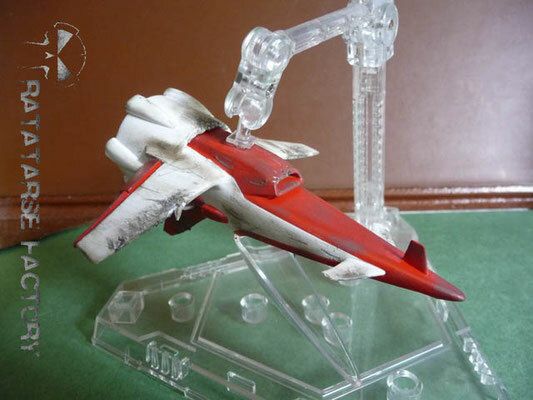 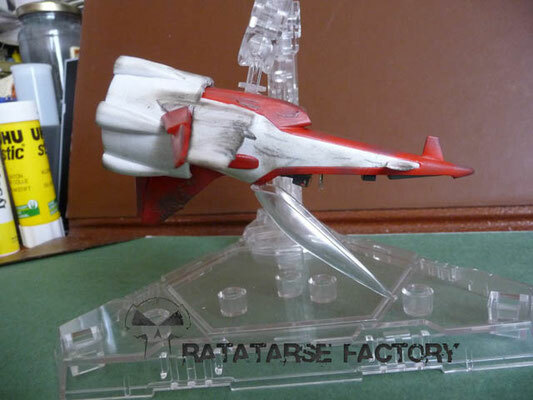 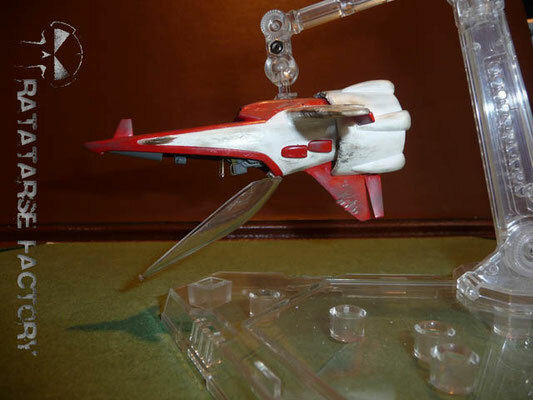 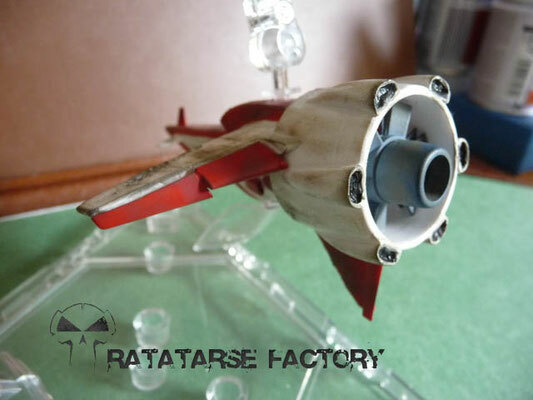 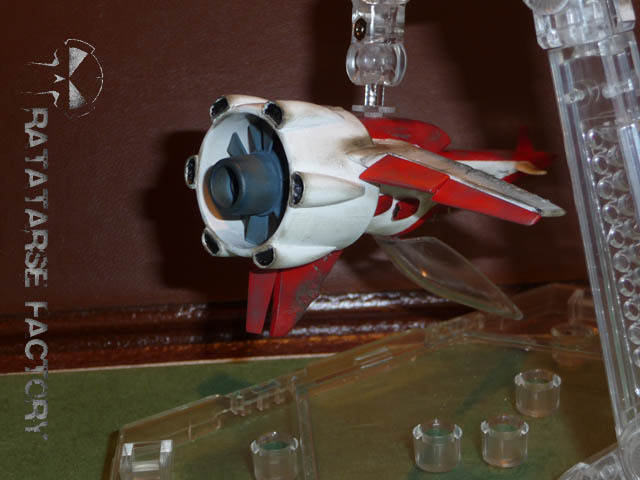 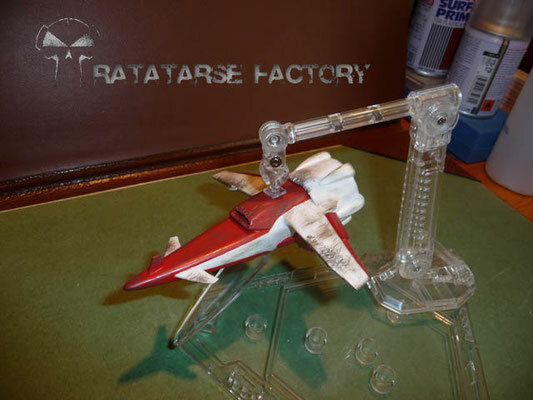 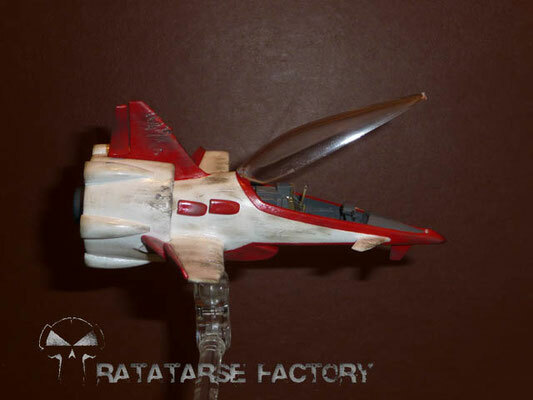 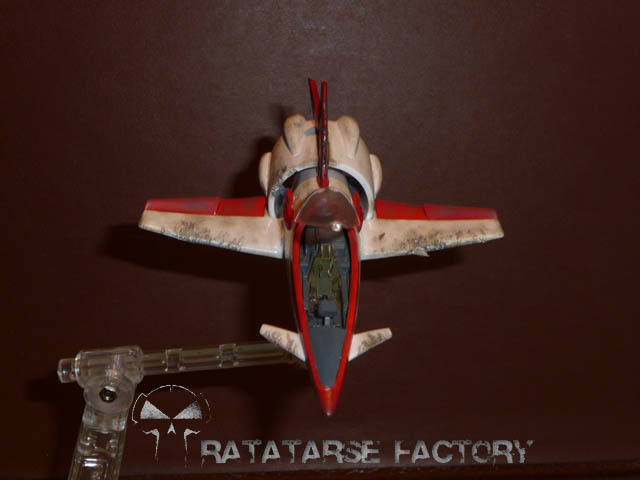 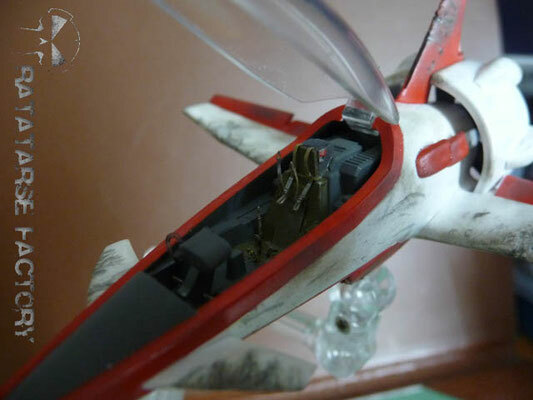 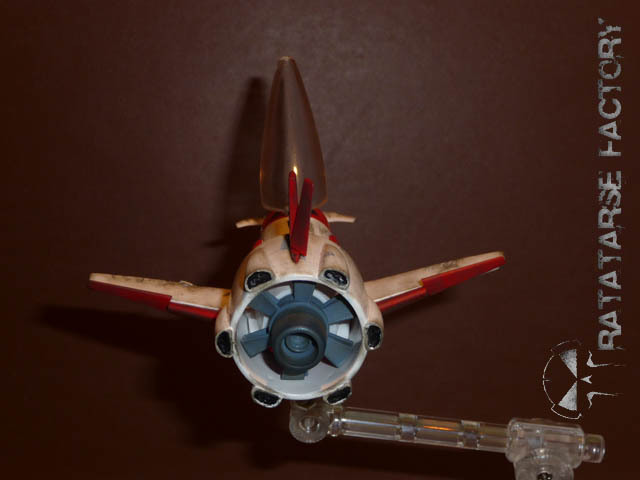 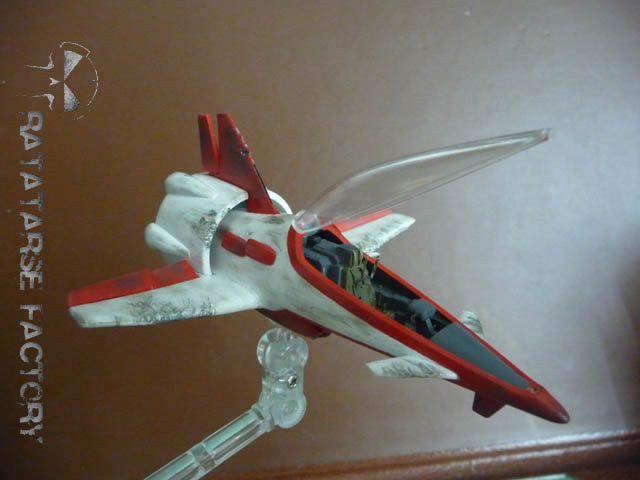 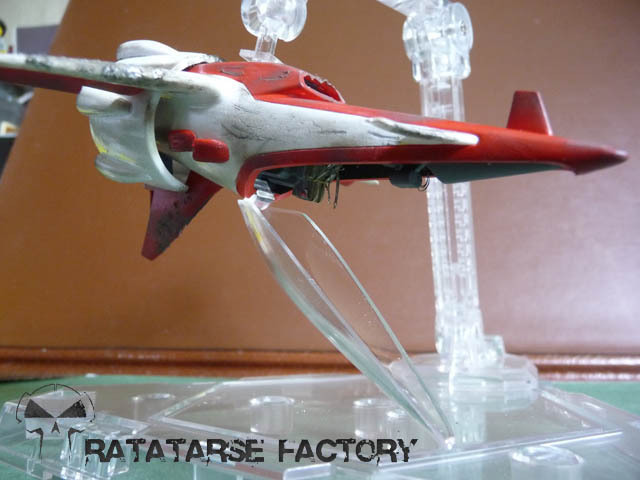 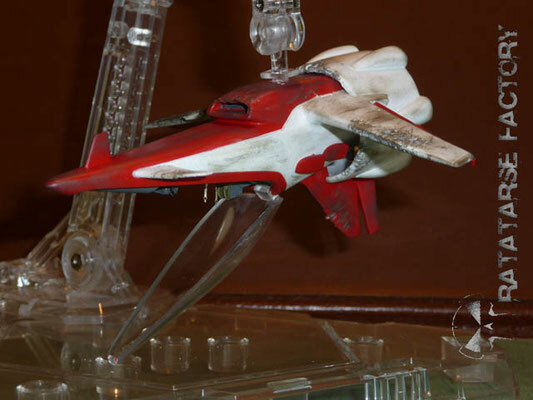 Wanting to reproduce another mythical scenes of Macross, I thus mounted a second Fan Racer with almost all the modifications seen here, except the landing gear and shutters that are well separated but fixed. 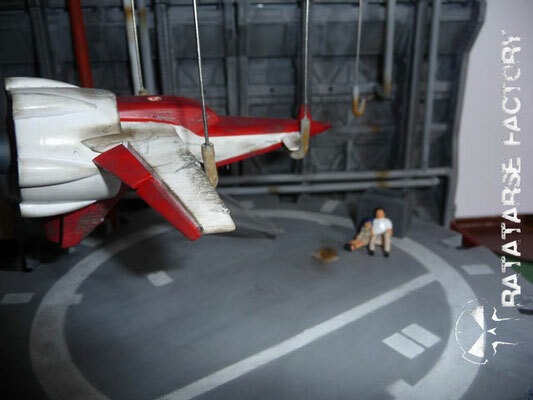 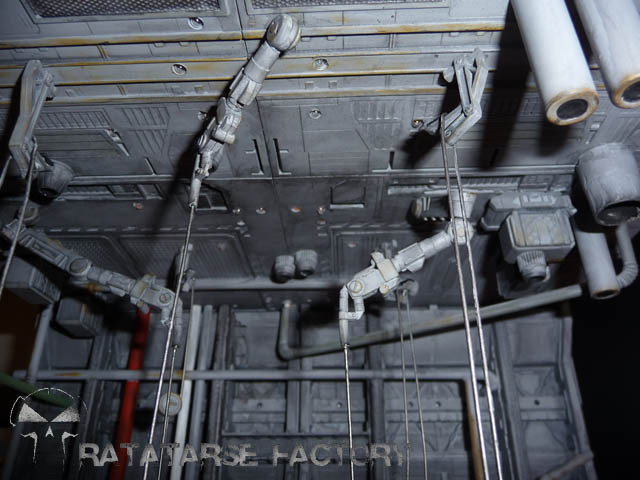 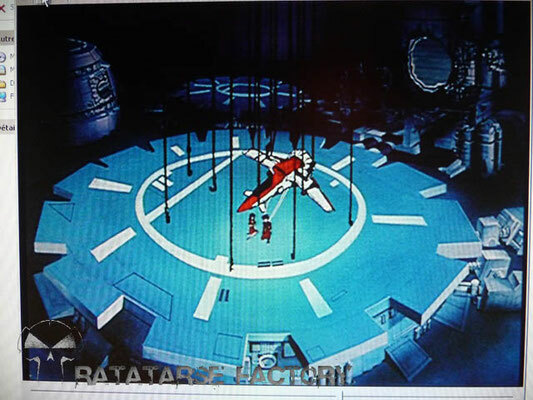 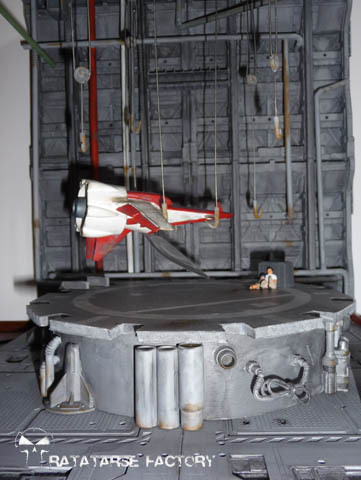 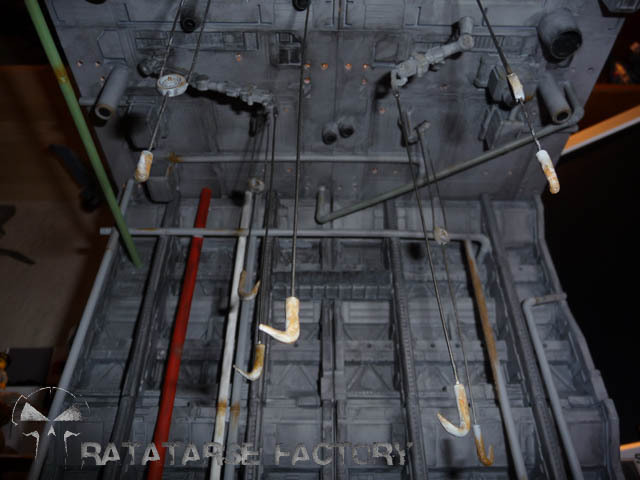 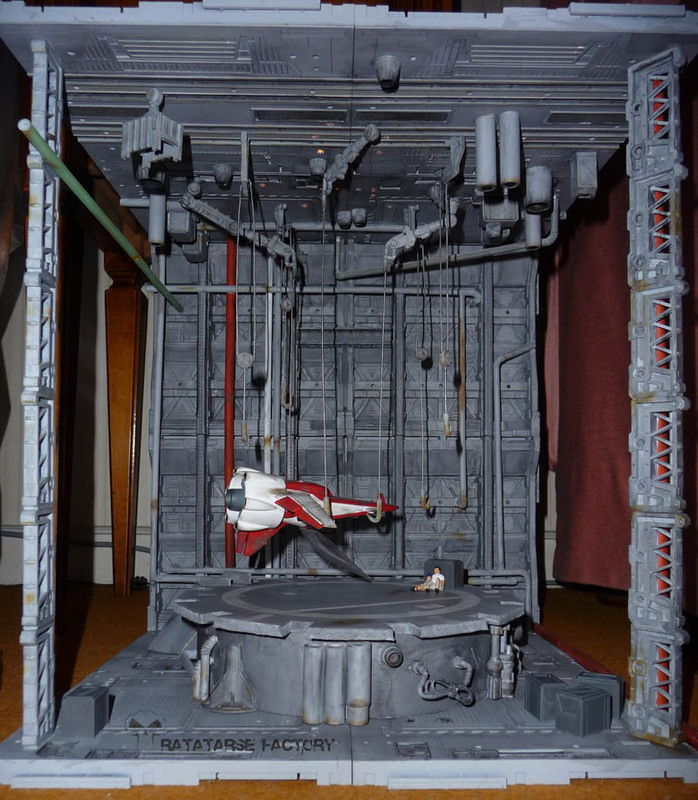 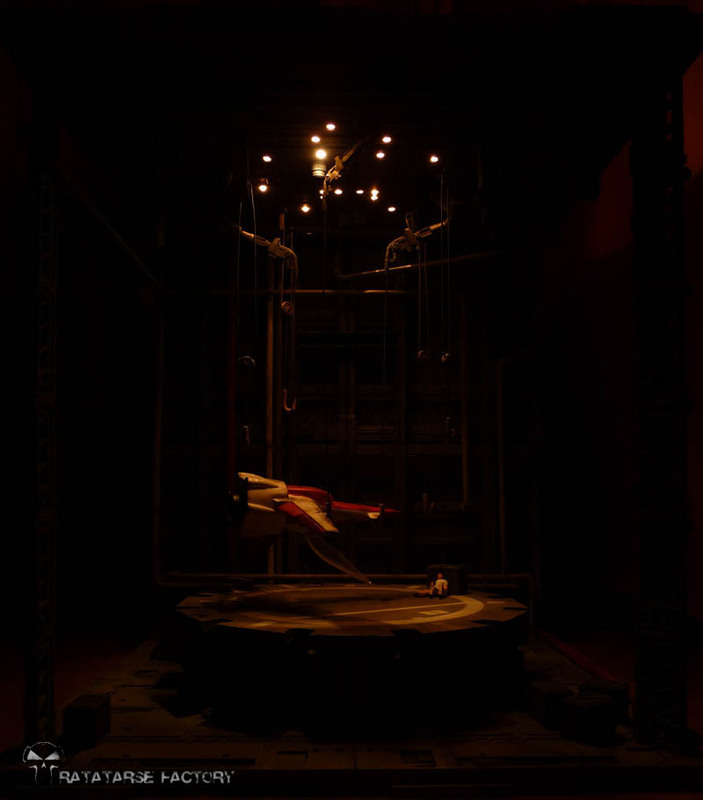 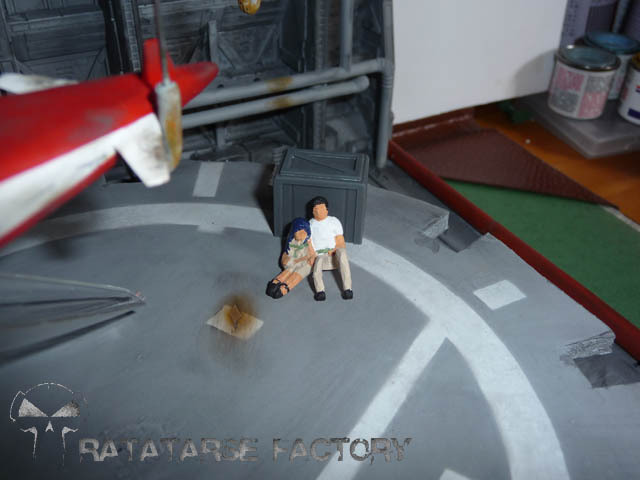 I designed a scene, 1/2 scale compared to what is seen in the anime, for an obvious reason of congestion of the diorama once finished (and also because it would have taken too much place for so Small model, it would be silly). 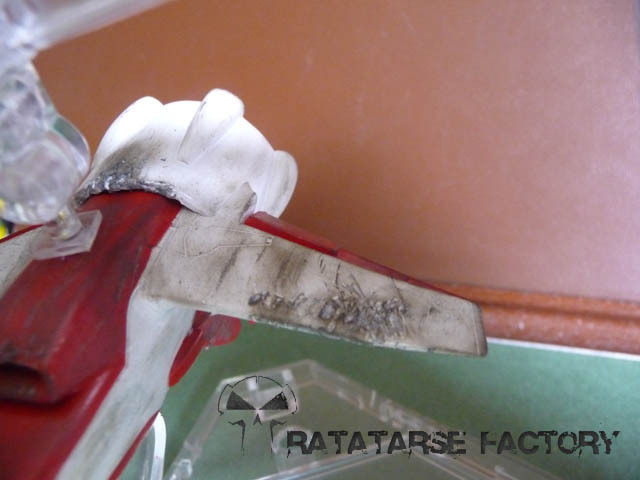 A few scratches and damage later, some scratched elements, we get a decor not so bad, not too far from what is shown in the anime !